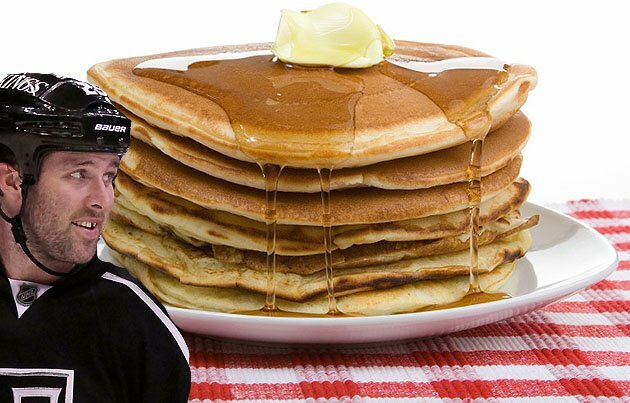 The LA Kings forward got back spasms while leaning in to eat the pancakes his wife had just made him and couldn’t practice that day. Poor guy. Clicky below for the story.